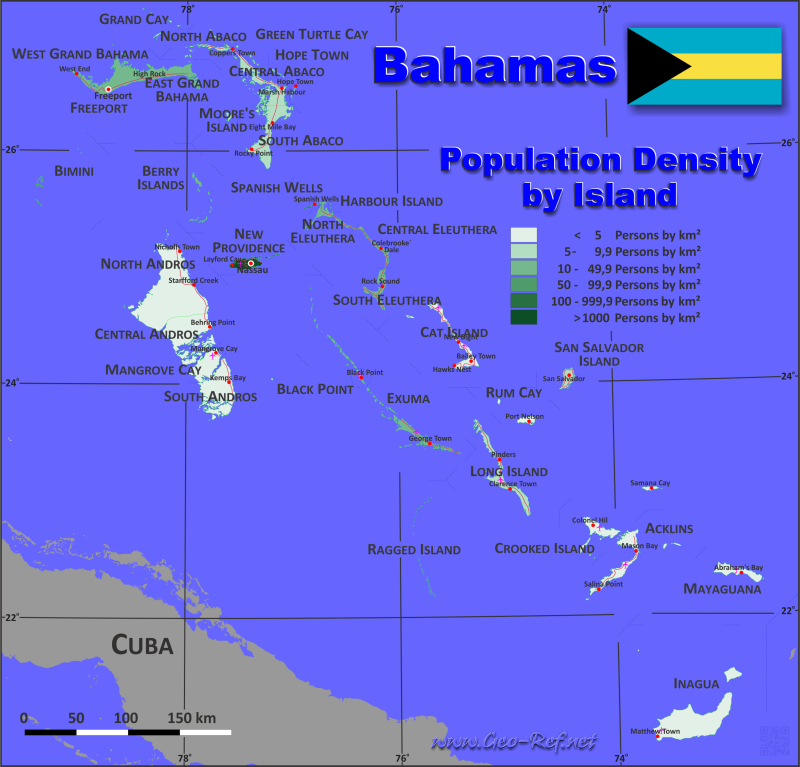 Bahamas - Click on the map to get a enlarged image in PDF format! The population data in the table below is an estimation for 2010, based on the census data from 2010. Click on the column header brings the table in order of the column header. The default order is the Island - Group of islands name.